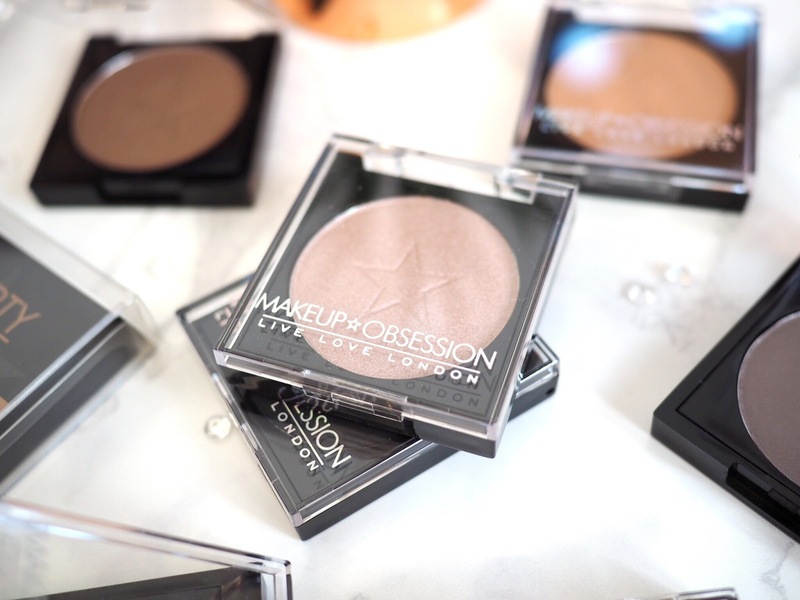 Available exclusively at Boots, Makeup Obsession is brought to you by Tam Beauty – who coincidentally are the brand behind Makeup Revolution and Freedom: remember those guys? Well they’ve got several other beauty branches under their tree, but they overhauled to one brand, Tam Beauty, earlier this year. Giving all their brands the same home on the tinterweb. Anyway, those are the guys behind the newly launched Makeup Obsession collection, which I am predicting will be HUGE. 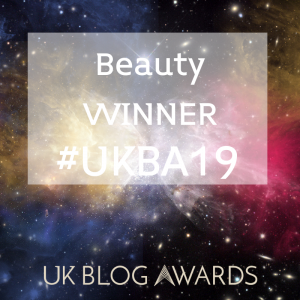 But I saw Hayley from London Beauty Queen blog about the products and I’d seen various other people talking about Makeup Obsession and the thought of making my very own dream palette – on a total budget – was too much for me to resist. So I’d been staking out my local Boots stores until finally, the stand appeared. 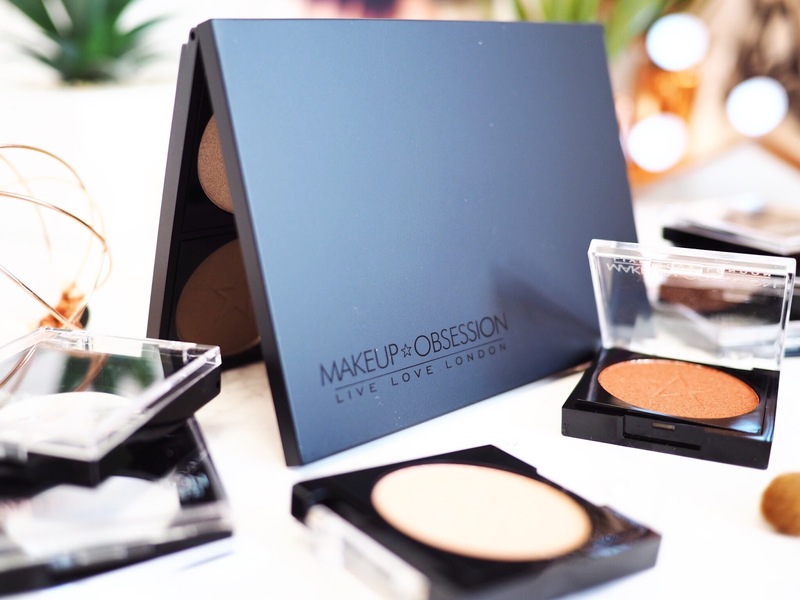 The idea behind Makeup Obsession is that for a minimal price you can create your perfect palette. 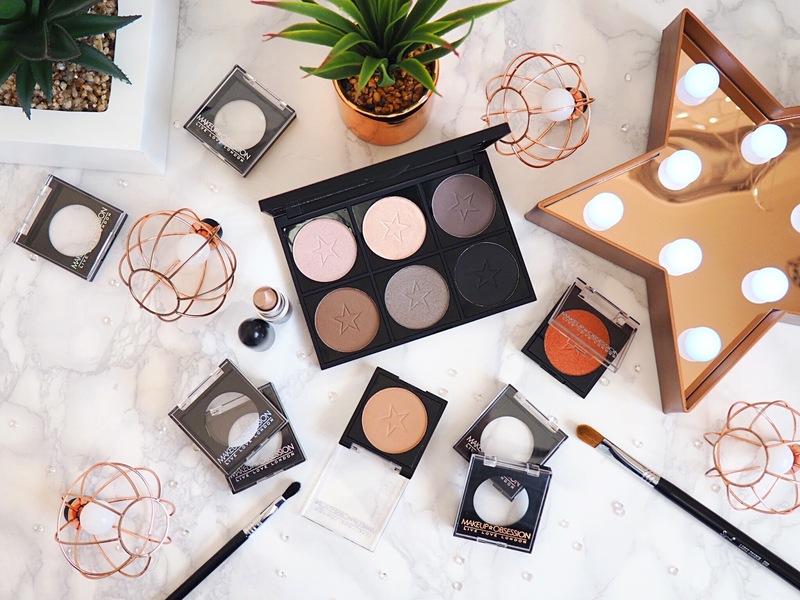 I’m not just talking about eyeshadows here, they have highlighters, blushes, bronzers, contours and strobing pans too, which means you can create a palette for your face as well as for your eyes. If a custom highlighter palette sounds like your thing, then they’ve got you covered with their powders. 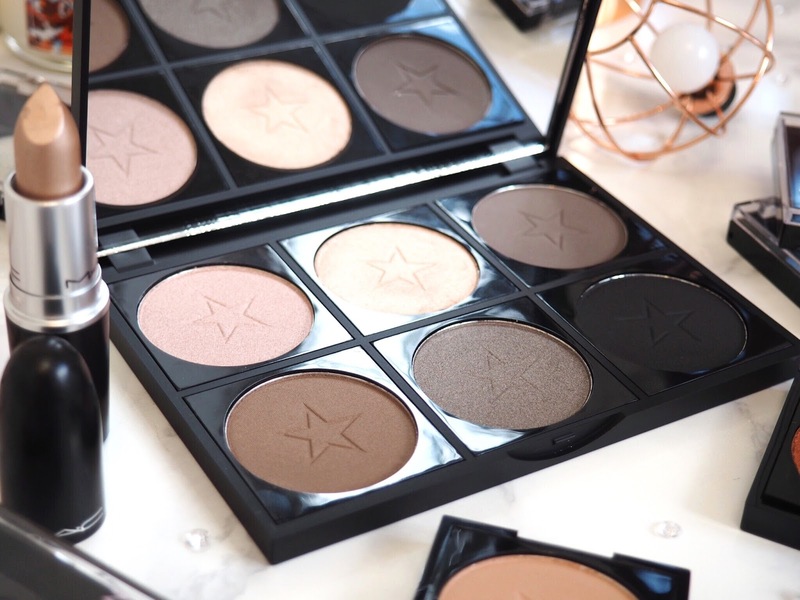 Likewise their creamy contour pans looked quite interesting too, and you can make your own custom palette with the perfect shades – which honestly sounds like a Godsend to me because I only ever use approximately two shades in a six shade contour palette. Anyway, there are palette choices from metallic and matte colours available, with a choice of six or twelve pan. Depending on colour and size, you’ll only pay between £4 and £8. Very reasonable right? 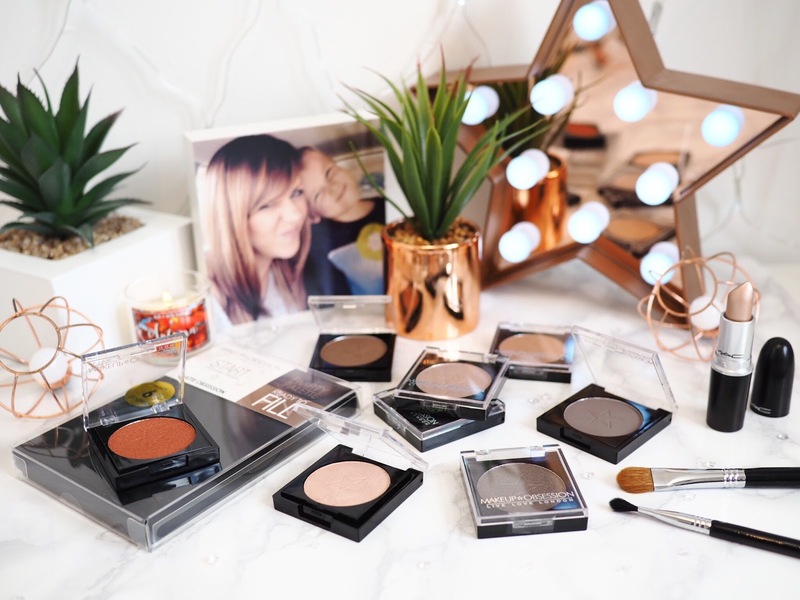 Then for the pans themselves… For the eyeshadows you’re looking at only £2 per pan, and for highlights, contour, blush and strobing pans you’re only going to pay £3 each. So I went for a six pan palette (£6) and filled it with eyeshadows. My total spend for the custom palette was only £18. And because I picked all the colours myself, I know I’ll use them and there won’t be any wastage. 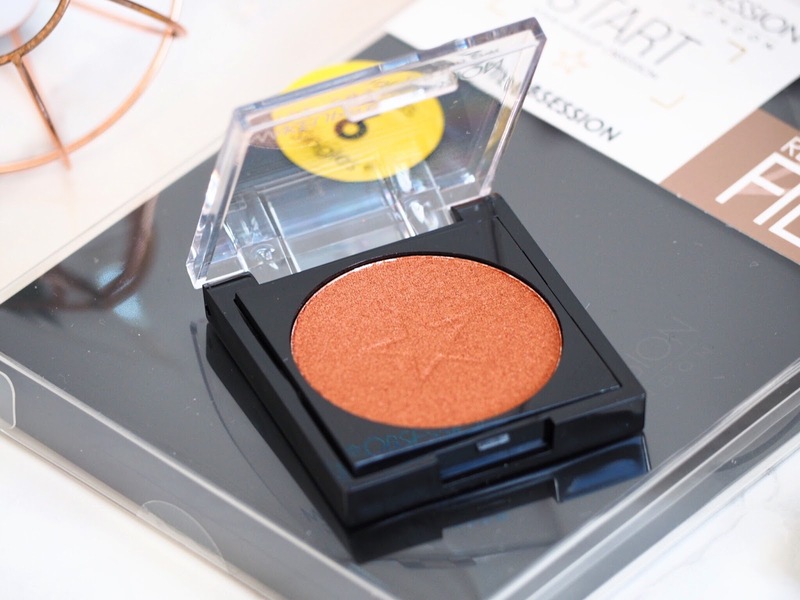 It seems like a perfect alternative to the few brands who do the custom palette experiences…(let’s not add up how much it would cost at MAC…) It’s a great and affordable way of getting something so perfect for your preference and skin type right? 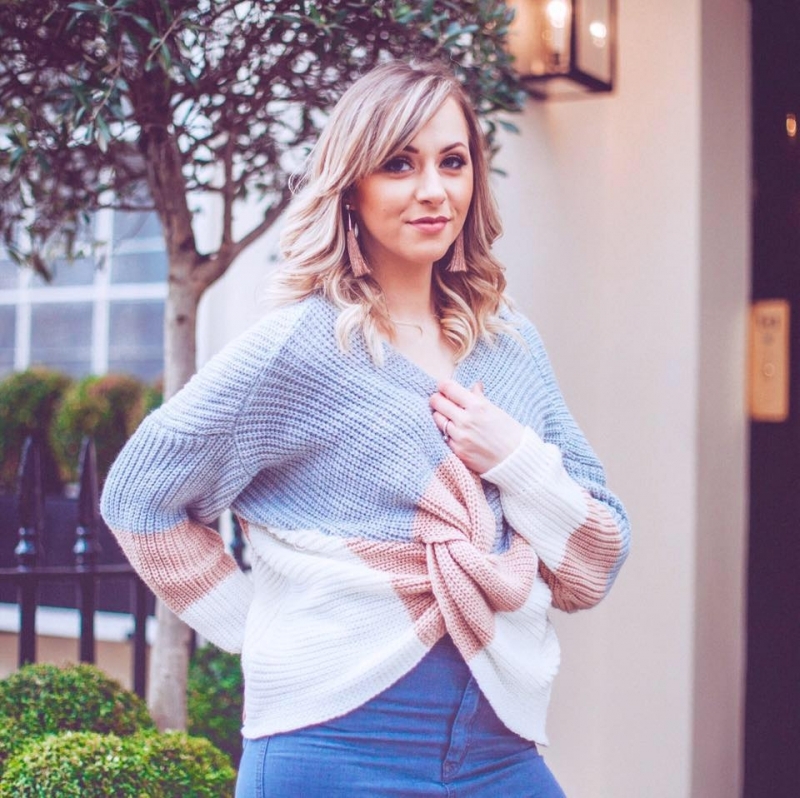 So now the technical bit – what’s the quality like? Worth the hype? ….Well…I’m not going to lie, when I swatched the eyeshadows in the store, the fallout just from the pan to my finger/hand was quite alarming. The oil on our fingers should limit fallout to a minimum, but it was still quite noticeable. 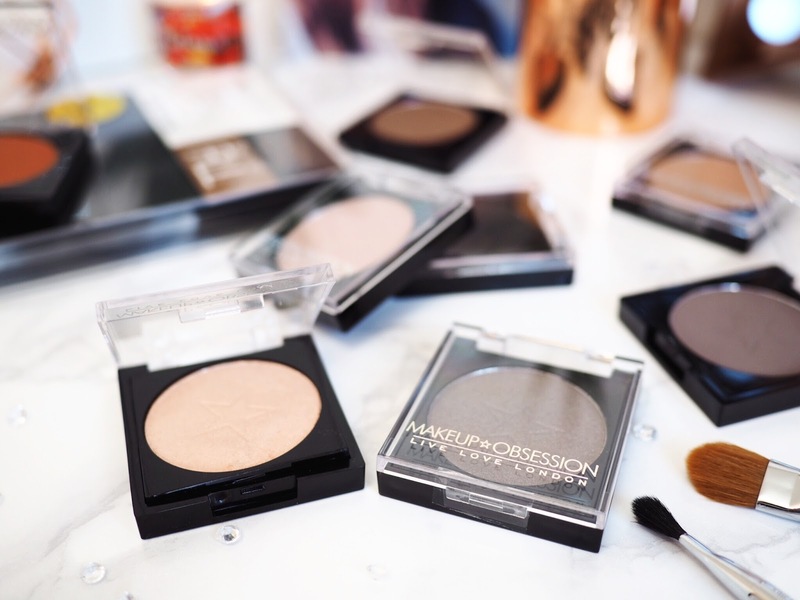 Now I’ve tried them out at home, I have to say that the fall out is a tad annoying, so I recommend that you prepare for this and don’t apply the shadows after your foundation – do it in reverse. But to be quite honest, for £2 a shadow, I can’t complain too much. Pigment wise, the colours are good though. The shimmer shades are lovely and glittery and they really catch the light. I have to say the smokey eye shades on the grey/gunmetal end of the spectrum are my favourites. They’re fabulous and they also blend together really well. The matte shades are also just as pigmented, so it’s a thumbs up on that front. And it’s also worth a mention that with an eyeshadow primer these hold just as well as any other top brand. The only other thing I’d mention is that I did buy one of the highlighter pans separately, and sadly it’s quite oily in texture. Having oily skin anyway, I just can’t use this because in a very short space of time my face resembled an oil slick. Which was disappointing as the colour choices were really impressive. I’m hoping to mix it with some shimmer eyeshadow to use on the brow bone instead so it doesn’t go to waste, but for those of us with oily skin, the highlighters might need to be given a wide berth. So despite having high fallout, the eyeshadow pigmentation is good and the colour choice available is excellent. 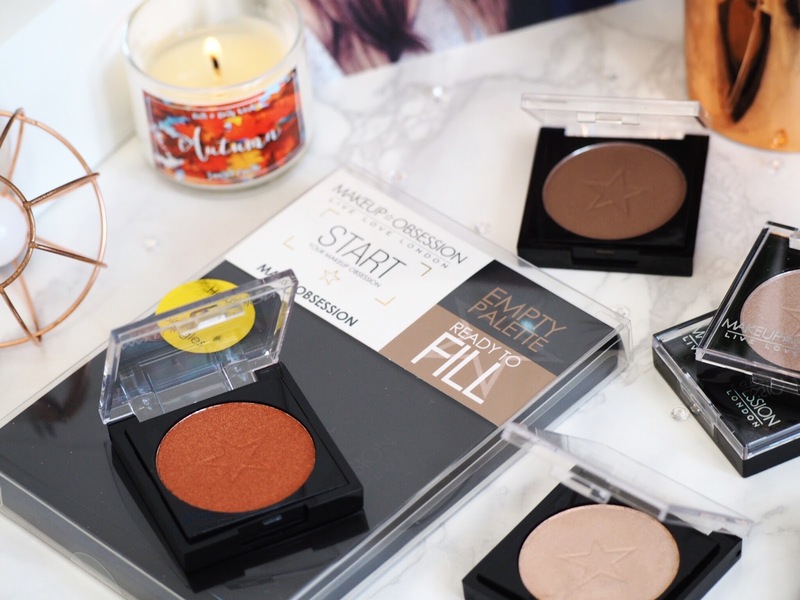 You’re totally spoilt for choice, and for £2 a pan and starting at £4 for the palette, you can get that little buzz of excitement as you create your dream palette. I’m a sucker for things like this, and I’m quite pleased with my budget custom eyeshadow palette, and it was totally worth it. The cream contour pans looked quite high quality too, and I’m going to give them a go next. Get yours from Boots. What do you think? 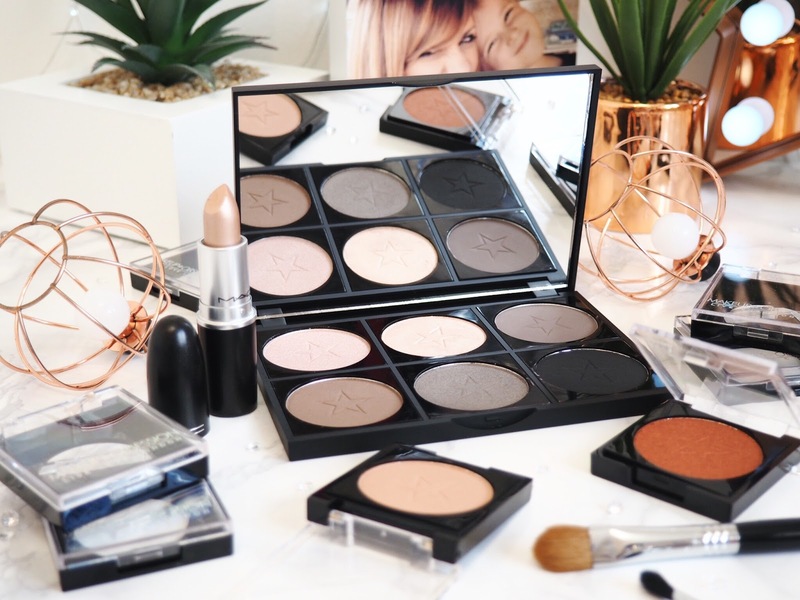 Will you be making your own perfect palette, if so, what colours will you go for?